Our History - Direct Recruiters Inc.
Thirty three years ago, Sheldon Myeroff had a vision to start an organization that could bring a high quality service to the local employment market. 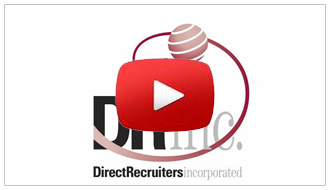 He opened the doors of Direct Recruiters, Inc. as an employment agency for Cleveland, Ohio. Over time, Direct Recruiters, Inc. evolved into a top executive recruitment firm for North America complete with an experienced team of Recruiters, Account Executives and Researchers. In the early days, Direct Recruiters focused solely on the Supply Chain Industry with a special emphasis on the Automatic Identification and Data Capture. Then the idea hit to expand into vertical markets and new emerging markets such as Healthcare IT. Since then, Direct Recruiters has been on a high growth trajectory. Today, Direct Recruiters’ many practices areas include: Automated Packaging & Material Handling, Automation & Sensors & Controls, Robotics, Electronic/Physical Security Technology, Cybersecurity, Energy Management, HVAC, Healthcare IT, Labels & Labeling, Life Sciences, Military Transition, Military Leadership Excellence, Pharmaceutical Manufacturing Processing & Packaging, Plastics & Flexible Packaging, Public Safety, Public Sector & IT, and Supply Chain & Logistics. And we’ve made an impact. Executive search is not perception, packaging, or pontificating. It’s about the hard, not so pretty work of contacting talented people, gaining their trust, and giving them the opportunity to enhance their careers and at the same time helping our client achieve their corporate goals. We’ve also become part of the establishment. Success does that. But we haven’t forgotten where we came from. We base our business on the same cornerstones that made us one of the best search firms in the country. Namely, we bring our unique ability to stay agile, nimble, and personal to each search in order to maintain speed of delivery and quality of service. 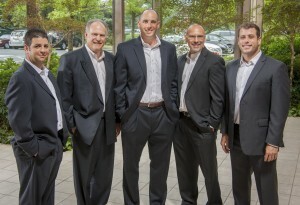 In addition, we strive to provide the best client and candidate experience possible. We also think it’s important to make a difference in the community around us. We hire local talent to help the Cleveland economy. We contribute to local charities including the Leprechaun Society, Cleveland APL, Cleveland Food Bank and area hospitals. We annually participate in “Kick-It” to benefit cancer research for children. Even though Direct Recruiters, Inc. continues to thrive after 33 years, we stay real and humble and refuse to stand on our laurels.